When I think of a hair salon, I think of bright lights, constant noise of hairdryers blowing, hair sweeping and people chattering all alongside a background of either a radio or CD that no one’s quite listening to amid the hubbub of activity. I personally dread it alongside the small talk over last weeks OK! Magazine. Well don’t worry – that Instagram worthy hair is on the way. Be done with your local and check out the latest hotspots in London that you must visit! Opened in October 2017, Salon 64 is the latest hotspot to go. The perfectly designed and well thought-out two floor salon is a calm space in the midst of one of London’s buzziest neighbourhoods – perfect to get your glam on. 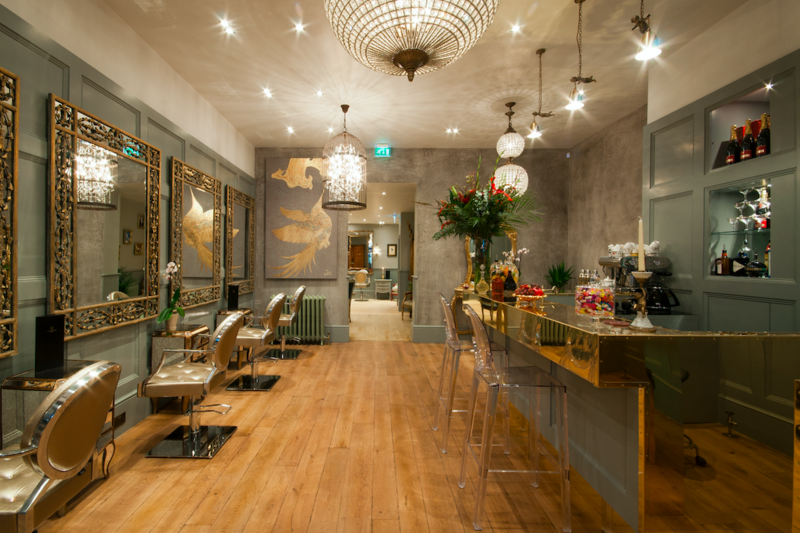 Idilic location for manicures, blow-dries and the endless list of treatments and the great use of Mr Smith hair products while enjoying the Corian firepits that take centre stage. Prices start from £55 for a blow-dry, and £45 for manicures. Barber & Parlour is a three-floor space on Redchurch Street in Shoreditch offering several grooming options for men and women. There’s a Cheeky Parlour for manicures and pedicures; Hair by colourist Josh Wood for colours, cuts, up-dos and blowouts; a Beauty Store stocked with cult products, and a Neville Barber for beard trims and haircuts. Prices start from £50 for a blow-dry, and £42 for manicures. Want Insta-glam worthy hair? Swish your way to London’s Portobello to visit the top Stylist’s at Taylor Taylor. Heralded as one of London’s original boutique hair salons, Taylor Taylor boasts a slew of high-profile celebrity and catwalk stylists and is regularly voted one of the top hairdressers in the capital. Prices start from £40 for a blow-dry. This entry was posted in Beauty & Grooming, Places to Visit and tagged Cheeky, Josh Wood, london, Salon 64, Shoreditch, Soho, Taylor Taylor. Bookmark the permalink.